Cash for Roofing: Are You Really Getting the Best Deal? 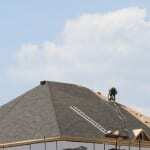 Home > Roofing Services Blog > Cash for Roofing: Are You Really Getting the Best Deal? The weather in the Barrie, Ontario area is variable, and that means your roof can take a big hit. It’s no surprise that you may need to have your roof worked on from one year to the next, depending on the severity of winter and spring storms. Therefore, when it’s time to call on your local roofing contractors for repairs or replacement, you may find yourself looking at the best way to get roofing services while also saving a quick dollar. However, if that means you are talking with a roofing contractor who will take cash payment for a reduced rate, you may find that you aren’t always getting the best deal by going this route. Why? They may not have the licensing, insurance, or credentials to complete your roofing job successfully – or to protect you if something goes wrong. No matter who you choose as a roofing contractor, make sure they send you valid WSIB number and certificate of insurance. If you hire someone who doesn’t have insurance, you are liable with your own personal insurance. If a roofing contractor doesn’t have WSIB, you are contributing to a fraud! Do your homework. Don’t be afraid to ask questions and make sure you get correct answers. Write down everything your contractor tells you and get a second opinion. Check references and testimonials to see what others are saying about the quality of the roofing work the contractor is doing. While it may be tempting to take the discount that comes with paying cash for a roofing job, you may also be doing yourself a disservice if they don’t carry the proper credentials. Here at Slippery Slope Roofing, we can assure you that we have YOUR best interests in mind and have the certifications and insurance to do the work right the first time. If you need roofing solutions, contact us today for more information.